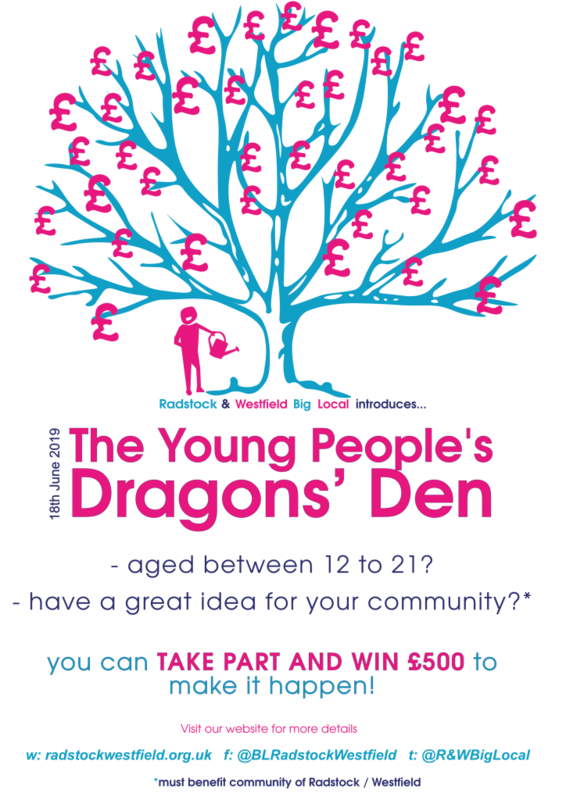 We are excited to say we are launching the Young People's Dragons' Den this year! Young people between the age of 12 to 21 have a great opportunity to come up with a plan to make a difference to their community and get money to make it happen! It will take place on the 18th June, 5pm in Westfield Methodist Hall, Wells Rd, Westfield, BA3 3UW.